Free Kid’s Haircuts in August! 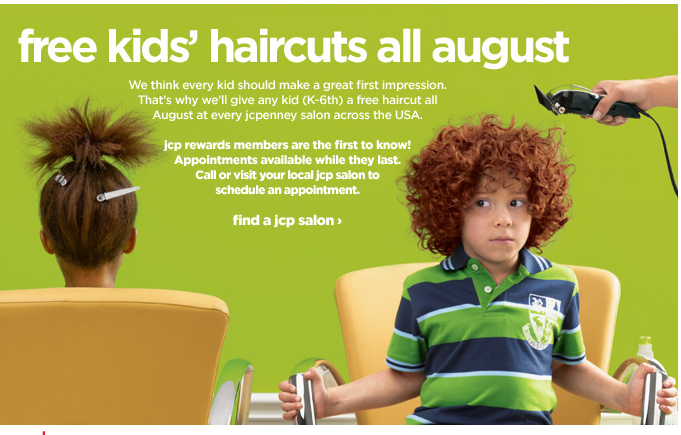 JCPenney is offering FREE Kids Haircuts to all kids from K-6th grade for the whole month of August. Just in time for Back to School! This free offer is available by appointment only, so book your appointment SOON! To book your appointment, you may call your local salon or book your appointment online.